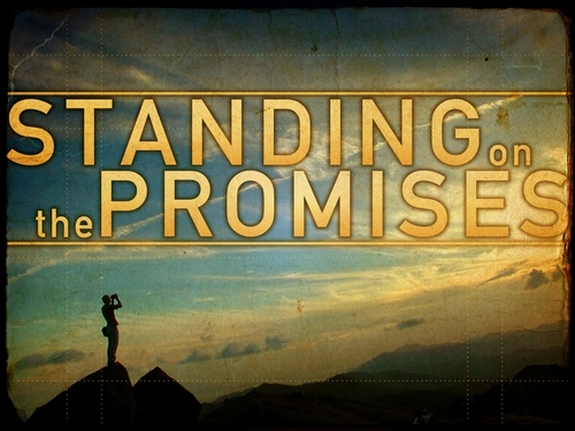 There are literally thousands of promises in the Word of God waiting to be received by faith. There are so many promises to choose from to help us in whatever situation we find ourselves in. God’s Word can set us free from sin, sinful desires and thoughts, and bad behavior. His Word can release us from anything that holds us captive. God’s Word invites His heart and power into our situation. God’s blessings can assist us to accept His forgiveness and for us to forgive others, to accept His salvation through His grace and mercy, and for us to receive our healing. His promises can minister to us to reach our potential and do the works of the Lord. They can aid us to become prosperous so that we can achieve what God has called us to do to bless His Kingdom. If God chooses to financially bless us, then it is our godly responsibility not to spend that money on excessive pleasures for ourselves. We are obligated to use those additional finances to bless the needs of the poor, the homeless, and to further the gospel of Jesus Christ. Remember, it’s not about us, it’s all about our Lord, Jesus Christ. I have listed a few of God’s promises below. I have also personalized them so that you can pray/mediate on the original verse and then declare and decree the personalized version. I pray that you will find rest in God’s promises and blessings and that you will seek Him to supply your every need. May God richly bless you in every area of your life. What I like to do is bless the Lord first. I sing the scripture to Him or speak it out loud as a prayer. You can bless the Lord whichever way is best for you. Blessed are You, Lord God of Israel, my Father, forever and ever. Yours, O Lord, is the greatness, the power and the glory, the victory and the majesty; for all that is in heaven and earth is Yours; Yours is the kingdom, O Lord, and You are exalted as head over all. Both riches and honor come from You, and You reign over all. In Your hand is power and might; in Your hand is the power to make great and to give strength to all. Now therefore my God, I thank You and praise Your glorious name. Blessed be Your name, my Jesus, my God forever and ever, for wisdom and might are Yours, and You change the times and the seasons; Jesus give me wisdom for you give it to the wise and you give knowledge to those who have understanding. Jesus, reveal to me the deep and secret things; You know what is in the darkness, and light dwells with You. The Lord will bless me and take good care of me. The Lord will smile on me and be gracious to me. The Lord will look on me with favor, and give me His peace. The eyes of the Lord my God will always be upon me from the beginning of the year to the end of the year. The Lord, the God of my fathers, will increase me a thousandfold, more than I am now and bless me, just as He has promised me. My future will be so prosperous, my beginnings will seem humble. The blessings of the Lord makes me rich and He adds no sorrow with it. The Lord will give me the treasures of darkness and the hidden riches of the secret places, so that I will know that it is the Lord God of Israel who calls me by His name. I will prosper in all things, and be in health, just as my soul prospers. I will remember the Lord my God, for it is He who gives me power to get wealth. He will establish His covenant which He swore to my fathers, as it is this day. Who forgives all my iniquities. Who heals all my diseases. Who crowns me with lovingkindness and tender mercies. The Lord blesses my soul and all that is within me. He remembers my benefits. He forgives my iniquities. He heals me of all my diseases and redeems my life from destruction. He crowns me with lovingkindness and tender mercies. He satisfies my mouth with good things so that my youth is renewed like the eagles. God is healing and delivering me from all of my afflictions. I wait on the Lord and He will renew my strength. I will soar high on wings like eagles. I will run and not be weary and I will walk and not grow faint. The Lord will restore my health to me. He will heal me of my wounds. Jesus accepted my grief. He carried my pain. He was wounded for my disobedience. He was bruised for my sin. He was beaten so I could be made whole. He was whipped so I can be healed. I will live a long life, and my eyes will be undimmed and my vigor be undiminished. I will live to be a good old age, full of days of riches and honor. For God has not given me a spirit of fear, but of power and of love and of a sound mind. The Lord God says I will receive salvation when I repent of my sins. I repent of all of my wicked ways and know the intention of my heart will be forgiven. I will draw near to God and He will draw near to me. I am a sinner and He will cleanse my hands and purify my heart. If I confess my sins, God is faithful and righteous to forgive me of my sins and to cleanse me of all unrighteousness. Jesus is the one God exalted to His right hand as a Prince and as Savior. When I repent He will forgive my sins. I will find favor in the sight of the Lord, and He knows me by name. The Lord will answer me when I call upon Him and He will be with me when I am in trouble. He will deliver me and bring me honor. The Lord will plant me in the midst of my land, which He has promised me and I will never be uprooted from my land. I will trust in the Lord with all my heart and lean not on my own understanding; in all my ways may I acknowledge Him and He will direct my paths. The Lord will send an angel ahead of me to guard me along my way, and He will bring me to the place He has prepared for me. The Lord will fill me with the Spirit of God – with skill, ability and knowledge concerning everything He has called me to do. The Lord will direct me in the way of wisdom; He will lead me in upright paths. As I allow Him to guide my walk, my steps will not be impeded; and if I run, I will not stumble.